This original smoked flavor of jerky is sure to please, and it's more lean than beef. 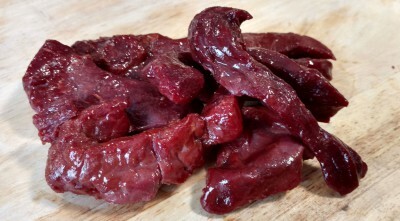 Keep refrigera..
Elk jerky is lower in fat than beef, and the taste falls between beef and venison. Keep refrigerated.. This original smoked flavor of venison jerky is sure to please. Keep refrigerated after delivery to ..